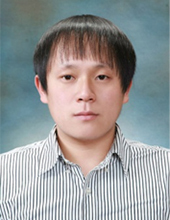 I completed my masters in February 2012, under the supervision of Prof. Jou-Hyeon Ahn from Gyeongsang National University, Jinju, South Korea. I worked in the area of lithium secondary batteries. The thesis was called: A Study on the Preparation and Electrochemical Properties of Polymer Electrolytes Based on Nanofibrous Membranes Containing Polymer Plasticizers for Lithium Batteries.I am currently a PhD student under the supervision of Professor Aleksandar Matic. I will study a part of the Li/S battery, i.e. ionic liquid electrolyte and cathode. There might be more projects where Du Hyun Lim participates, but you have to be logged in as a Chalmers employee to see them.